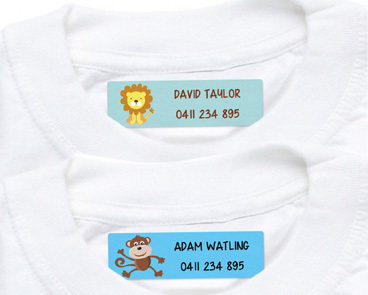 Details: Our personalised name labels help you keep track of the kid’s stuff. Pick a design, enter your name and preview to see how they look. 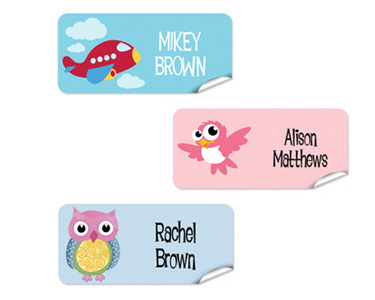 Details: Our personalised name labels help you keep track of the kids stuff. They stick on lunch boxes, drink bottles, books and are dishwasher safe. We do not recommend placing labels on items that are used in microwave ovens or bottle sterilisers. 45 labels per/pack. 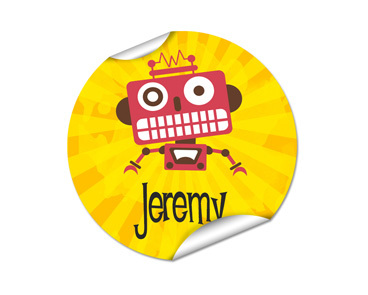 Details: Our personalised mini name labels are perfect for those smaller items you want to keep track of and are dishwasher safe. We do not recommend placing labels on items that are used in microwave ovens or bottle sterilisers. 76 labels per/pack. Details: Our Iron On Clothing labels really help you to keep track of the kid’s clothing, which means fewer trips to the lost property box! Details: Personalised shoe dots are great for kids to tell which shoes are theirs. 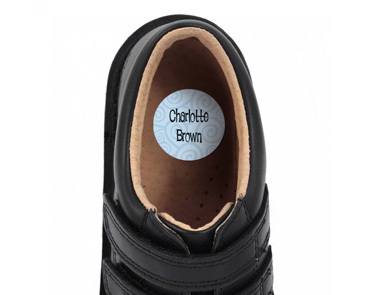 Shoe dots are printed on vinyl and stick directly to the inside heals of your kid's shoes. 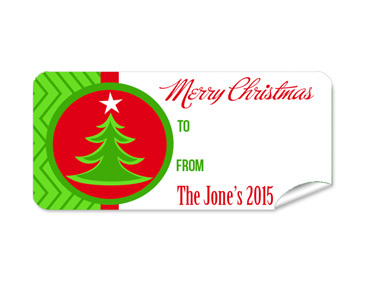 Details: Our personalised Christmas Gift labels are a great way to personalise your Christmas gifts this year. 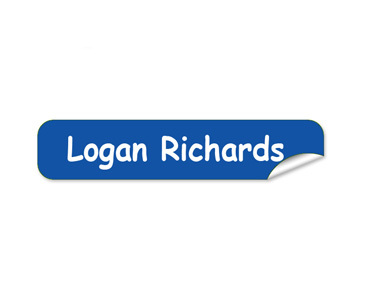 These labels can be written on using a permanent marker or ball point pen.